The first history of its kind ever published, The Nation’s Mantelpiece traces the development of an institution whose dependence on parliamentary funding and support regularly implicated it in debates surrounding education, social cohesion and national heritage. The story of the Gallery’s collection offers an intriguing opportunity to follow the changes in taste and connoisseurship that have helped create the Old Master canon we know today. The carbuncle-strewn course of its architectural development also receives unprecedentedly close attention. Copiously illustrated with images of well-known masterpieces, the book also affords a fascinating selection of architectural plans, cartoons and other images that illuminate every aspect of the Gallery’s history. It deserves a place on the mantelpiece of everyone interested in British history and art. 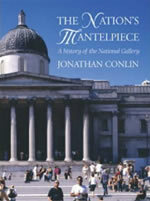 "Jonathan Conlin makes us marvel…His history of the National Gallery uncovers a huge cultural achievement. We have had to wait a long time for this, the first full history of this great museum. 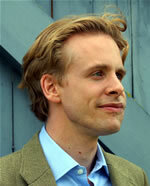 But Jonathan Conlin’s in-depth study will remain the authoritative account for many years to come." "Wise, funny, and massively informative." "Should be recommended and applauded. Written with panache and even humour, the stated aim is to relate the insider perspective to broader social and political trends, and this is achieved with aplomb. A mass of information is marshalled to seamless effect, producing a history of much more than its subject might suggest."